Truly creative landscapes marry form with function, beauty with practicality. 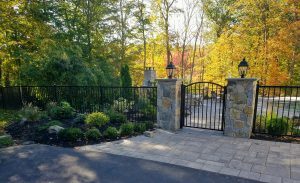 Let out team of Massachusetts based design professionals help you with your landscaping needs in the greater metro Boston area. Our horticultural artisans will install a landscape that encompasses a full spectrum of planting styles where your custom pallet bursts with creativity, color, texture and seasonality. From design concept through planning and implementation our team works as one with you all steps along the way, being your single point of contact. Contact us at 781-591-0300 or vern@ivystudioMA.com to see how we can transform your existing garden into something stunning and special.